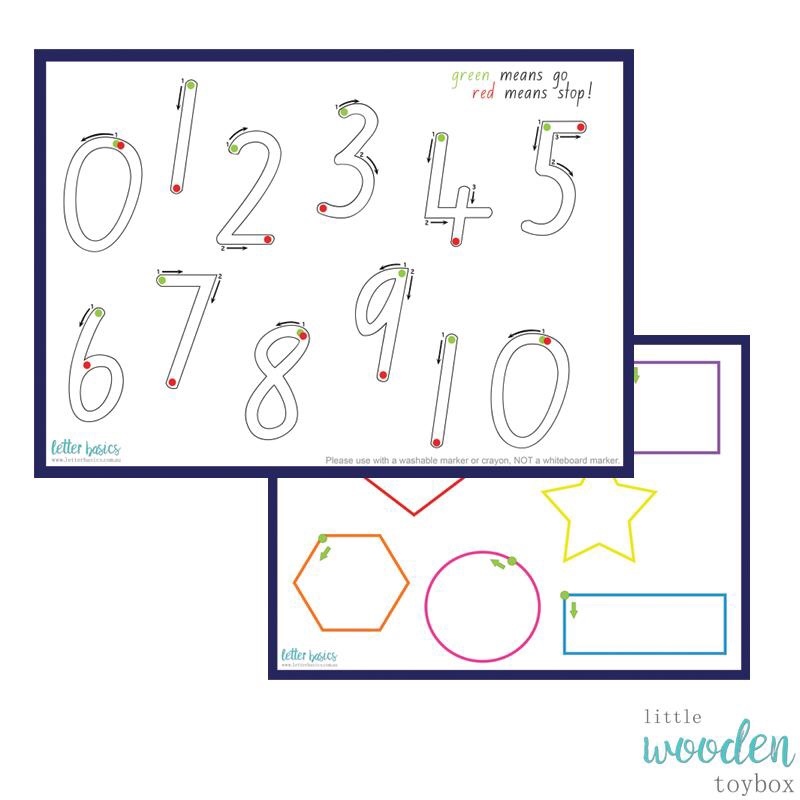 Learning letters and numbers doesn’t have to be all text books and flash cards. 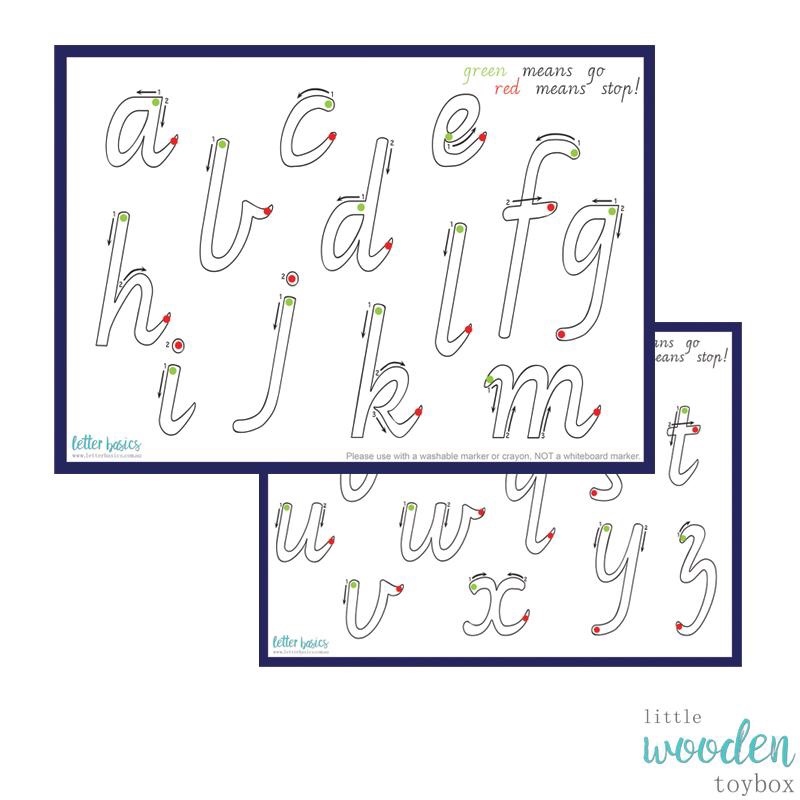 Your child certainly doesn’t need a pencil in hand to begin to build up skills that will assist them in their handwriting journey either! 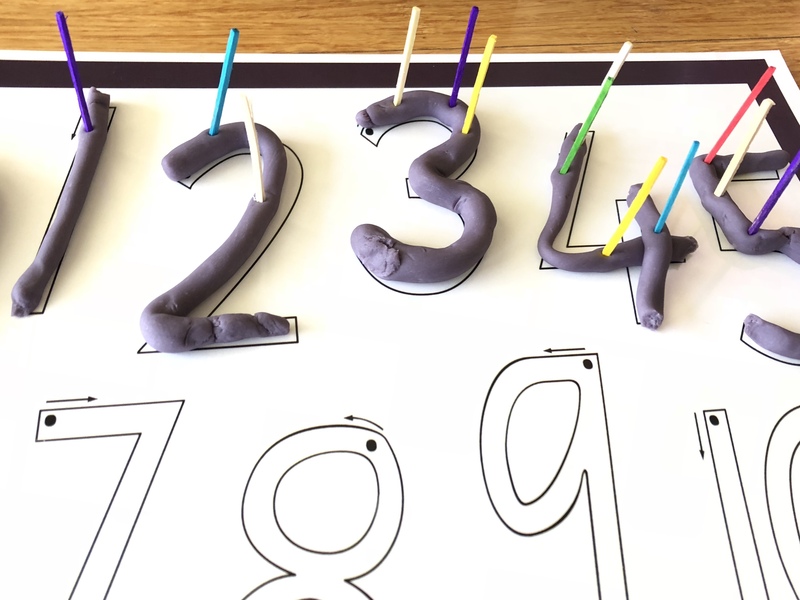 With this in mind, we set up a fun play dough activity that would allow both Miss 4 and Miss 20m to build up skills that will assist them in their learning at a later day in their formal learning journey. Life skills that can be developed and refined in early childhood through some of the seemingly simplest activities. Our play with play dough today is one such activity. 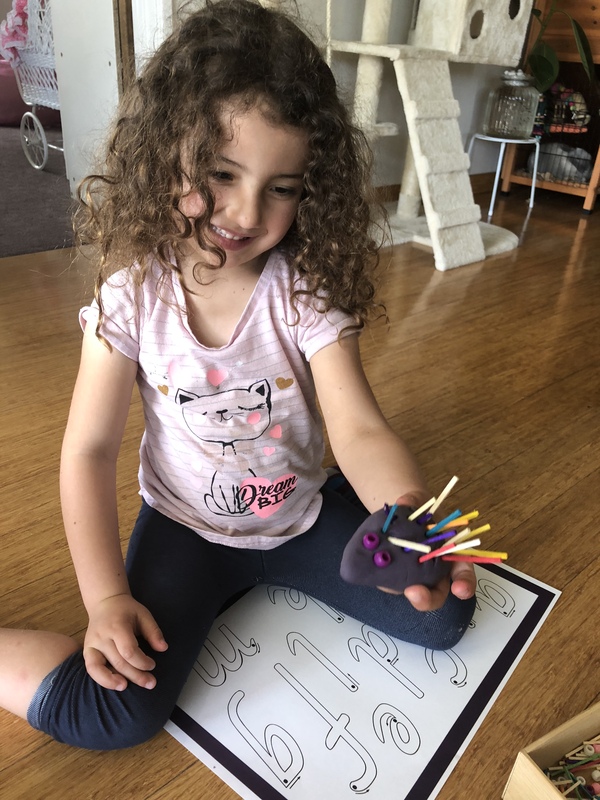 Using our Alphabet Play Dough Mat, Numbers Play Dough Mat, matchsticks, beads and beautifully soft homemade playdough, the girls were completely engaged in meaningful play. The initial brief was to roll the play dough into sausages and fill the outlines on the mats. They were then instructed to push the matchsticks into their creations and thread the beads onto each. 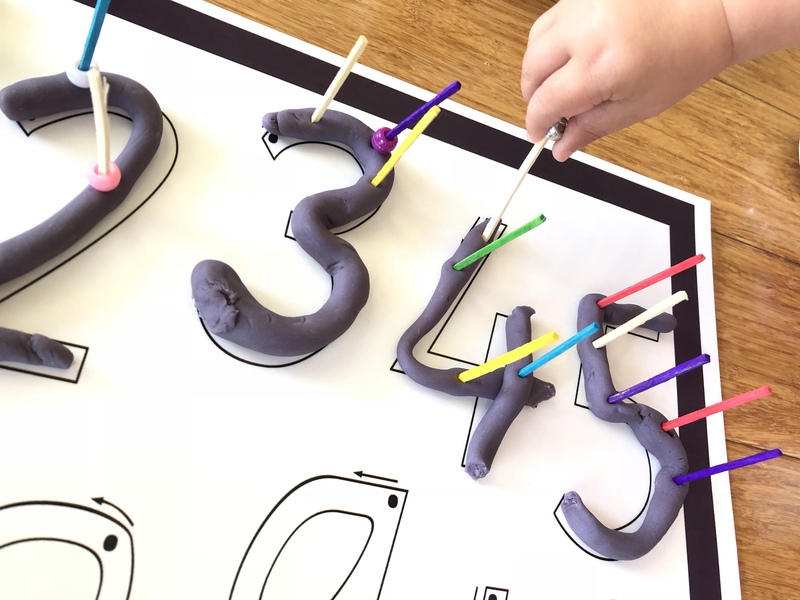 We spoke about the sounds the letters make and the value of the numbers as we made them. Miss 20m has been enjoying Numbers these last couple of weeks and took so much pride counting the matchsticks with me as we pushed them into the corresponding numbers. One match stick for number one, two matchsticks for number two and so on from there. Once they completed the structured side to this activity, we freelanced! This is where the real creative juices start flowing! We made faces, pinched bony plates down the backs of our numbers (stegosaurs numbers anyone?) and squished and squeezed the mounds of play dough to watch it fall from between our fingers. Personally my favourite thing we made were echidnas! Starting with a sphere, we tapered one end to make its snout then continued to poke matchsticks to make its quills and a couple of beads for eyes to finish them off. Miss 20ms reaction to them was priceless and will remain a cherished memory for a long time. Her little hand reached for the newly fabricated character. Truth be told I was a little hesitant in passing him to her as I envisioned him being squished pretty much instantly. I was very wrong. She gently took him into her hand and pat him like he was the most delicate being on Earth. Holding him to her face she kissed him and then scurried off the show him around the house. It was adorable! Eventually the dear echidna did meet his fate. Once his face was squished, all affections dissolved. Instead she was busy pushing the matchsticks all the way through to the other side of his body. Lovely. Although this activity was simple enough, there were plenty of learning opportunities to be had. The list goes on and on! Never undermine the learning benefits that come along with a mound of good old play dough. Get your Play Dough Mats here! Next ArticleDIY Lego Maze Board! This is a great idea! I could see this working for a lot of different activities for speech therapy. This is such a wonderful idea! I don’t have kids, but I will definitely be sharing this post with a Mum friend of mine – she will love it! What a great activity to do! 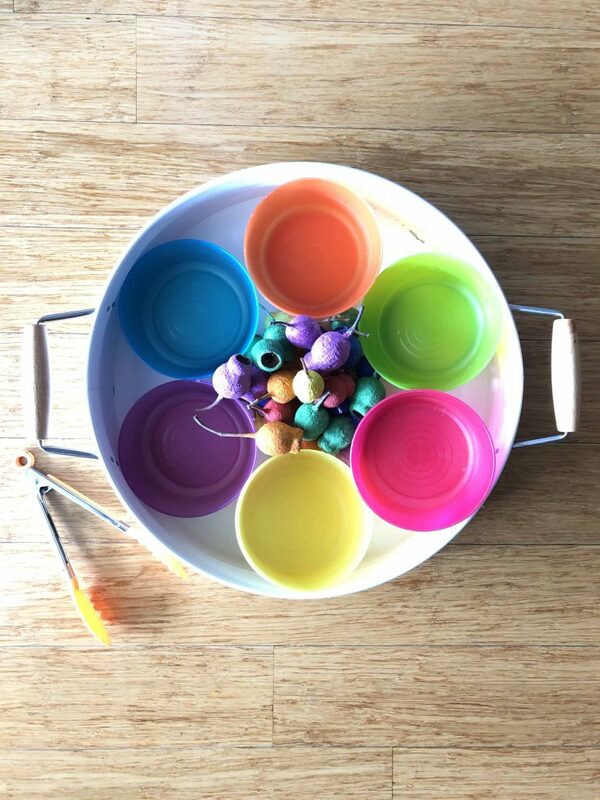 These are great for winter and to keep them busy indoors! Thanks heaps for sharing! This is a great idea of a game that is both educative and fun. I like how it can also develop a child’s creativity, though making different “creatures” out of play dough. Play dough is such an amazing educational tool to have! You can use it daily in various ways, and it won’t get boring 😂. 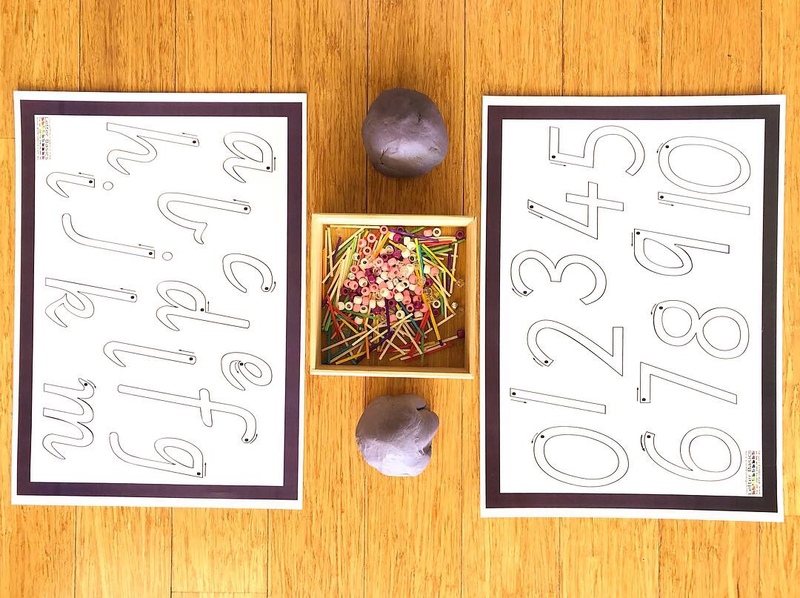 Great activities using play dough, match sticks and beads! Thanks. 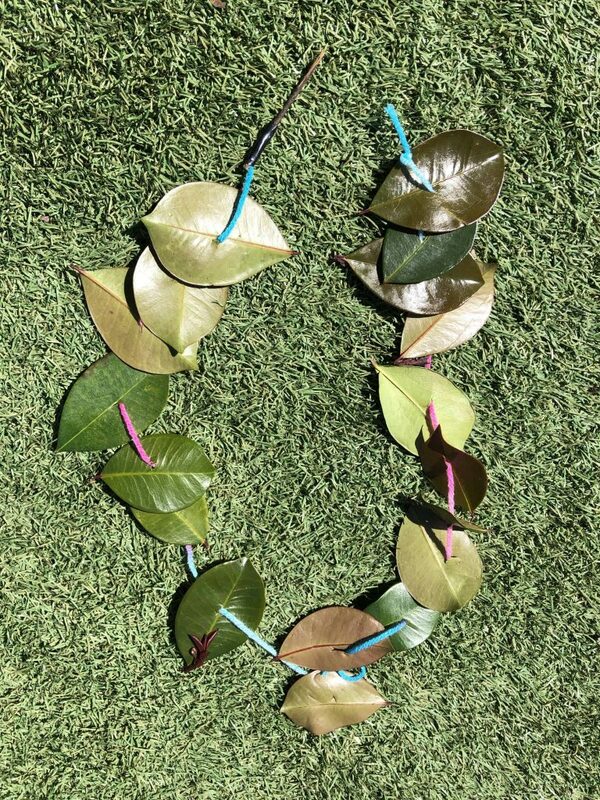 I think this is such a fun play/learning activity! 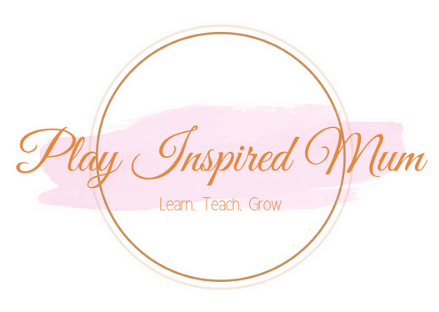 I am big on learn through play and think kids learn best when they are having fun! This is what my mum used to make me do too and it’s a great idea. I will be doing the same with my boys. What a great idea! My kids would have had fun with this when they were small. My son has autism so this would have been perfect for his fine motor skills. 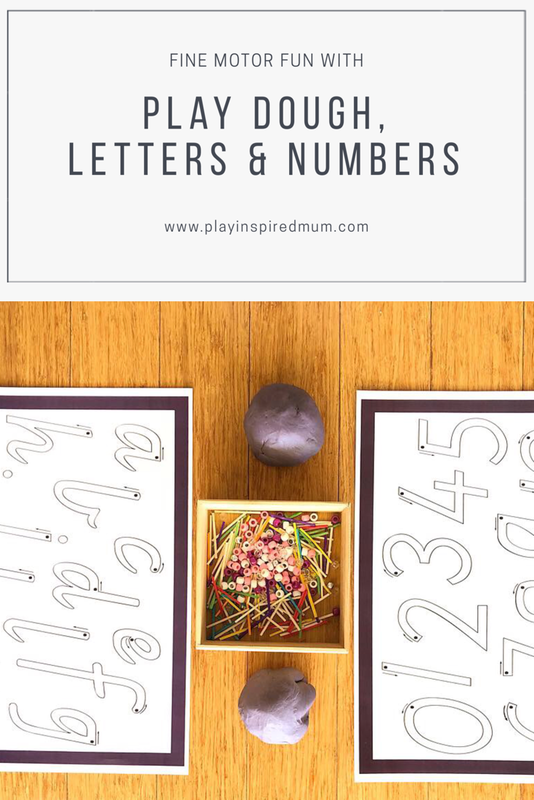 I’ve always thought playing dough as little child helps to improve motor skills but with letter and numbers boards you will definitely learn problem solving skills! Such a great idea! and what a fun activity! So educational as well and great to improve the kids’ skills! This looks like such a fun activity for the kids. 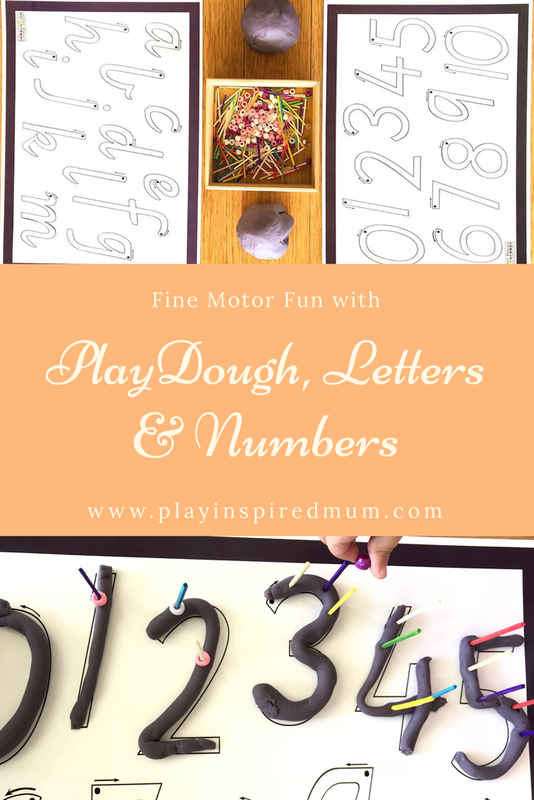 I know my kids would have a blast playing with the dough and making numbers! The learning benefits that come along with a mound of good old play dough will serve your child well now until their final year when they are playing for prom like our readers over at PromGuide. Great exercises … I spent last evening with my 2 & 4 year old grands … we colored for a lot of the evening … practicing our colors and talking about why we liked the different colors. We could use this activity the next time I’m w/ them. Now this is definitely exciting for any child! It’s so nice when a kid can break away from the normal learning using a pen and paper. This is even fun! 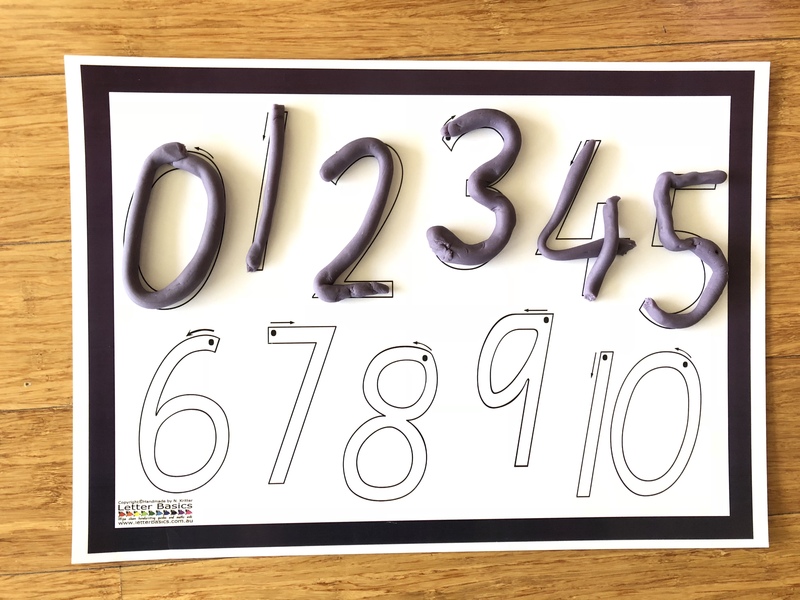 What an amazing way to teach numbers to kids. Wish it was taught like this back when I was in school!! These looks fun and a very interesting way to teach kids! Thank you! It is lots of fun. Play dough rocks!